Boeing has apologized to Japan's leading airlines for the grounding of its revolutionary Dreamliner jet last month. Raymond Conner, head of the commercial aircraft division at Boeing (BA), said the incidents that led to the grounding of the entire fleet of Dreamliner 787 planes were "deeply regretful". "On behalf of the Boeing Company and the 170,000 people which I represent today, I want first to apologize for the fact that we've had two incidents with our two very precious customers, ANA and JAL," he told reporters in Tokyo. 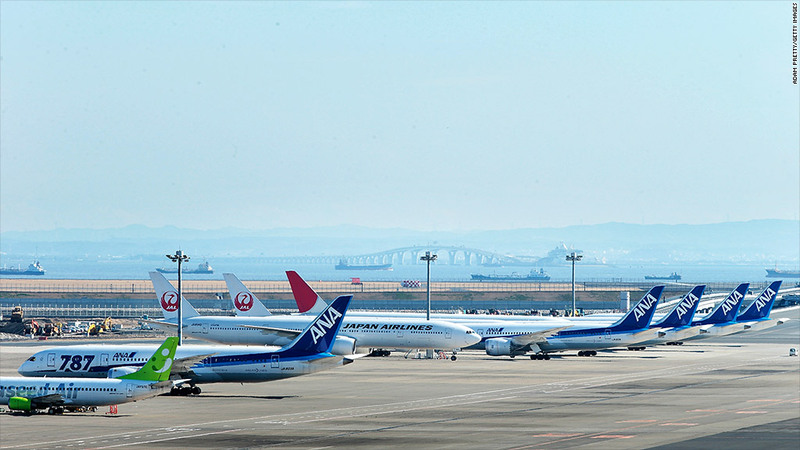 Between them, All Nippon Airways and Japan Airlines operate nearly half the 50 Dreamliners delivered to customers so far. The Dreamliner has sold well in Asia and the Middle East, where airlines depend on long-range flights for much of their business and can benefit most from the improvements in fuel economy the lighter-weight plane promises. The grounding last month due to fires linked to the use of lithium-ion batteries has forced Japan's airlines to cancel hundreds of flights, costing millions in lost revenue. Boeing has warned customers of delays to deliveries, although it continues to make the plane. The new plane is at the heart of ANA's strategy, and if it remains out of service for an extended period of time, the damage to the airline could be significant. ANA has already said it will seek compensation from Boeing. Conner said Boeing had hundreds of engineers working with external experts on the battery technology to come up with a solution that addresses all the possible causes of the incidents that led to the grounding. "What we did today was discuss the solutions that we are looking at that could be the final solution to get airplane back in air flying again," he said. The problems with the new battery technology have already prompted Boeing's European rival Airbus to revert to standard nickel-cadmium batteries in its A350 plane, designed to compete with the Dreamliner and due to make its first test flight in the middle of this year.